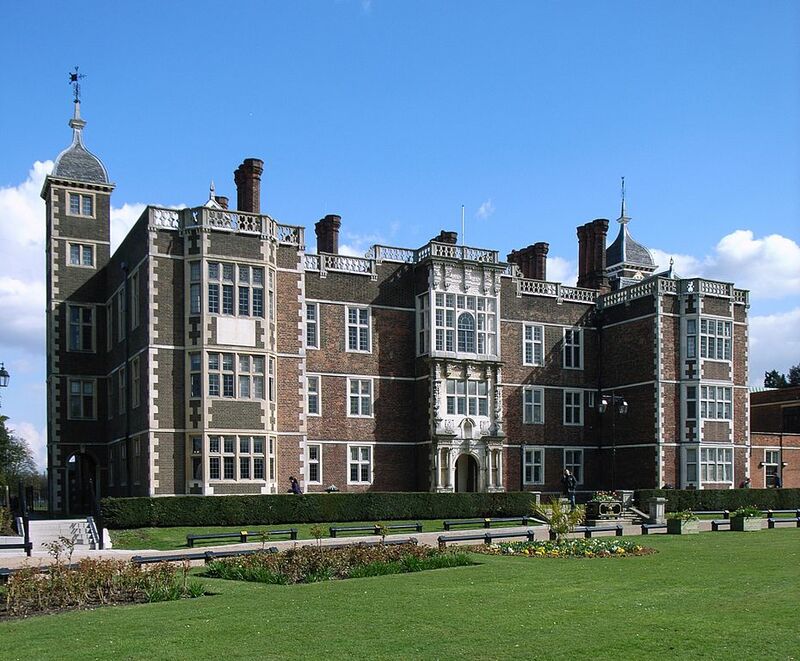 The second of our 2017 Autumn Visits was to Charlton House in south-east London, a little-known Jacobean mansion which was built in 1612 for Sir Adam Newton, Dean of Durham and tutor to James I’s eldest son Prince Henry. 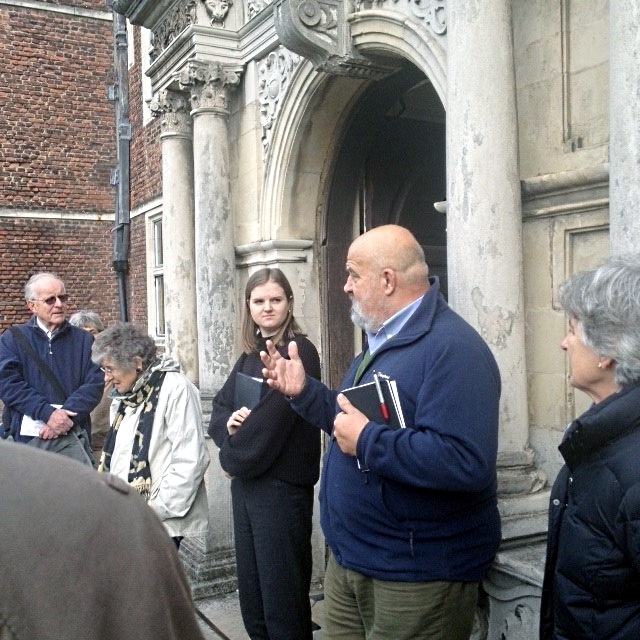 Members were given a tour by the house’s engaging Visitor Assistant Megan Cable, and we were lucky to have Malcolm Woods, a Trustee of the Royal Greenwich Heritage Trust, there with us too. The Royal Greenwich Heritage Trust was formed in 2014 to care for important historic buildings in the Borough. 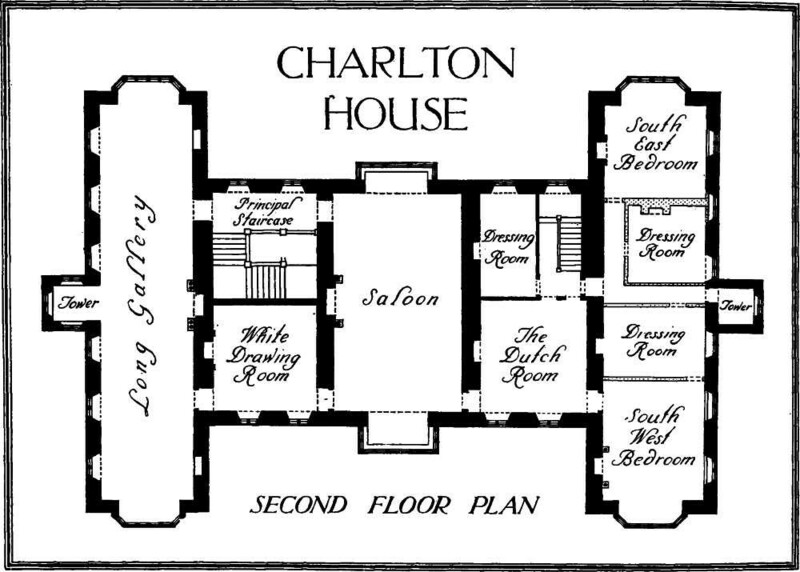 The Trust is about to embark on an exciting programme of conservation works at Charlton House, which will start with the repair and refurbishment of the Grade I-listed Garden House. This diminutive but perfectly formed redbrick building stands on the south lawn and was for many years attributed to Inigo Jones. 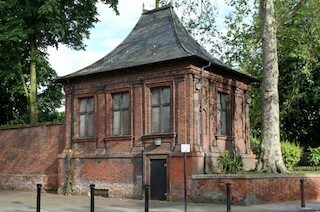 It was used as public toilet after the house was passed on to Greenwich Council and has been on the Historic England at Risk Register for several years. 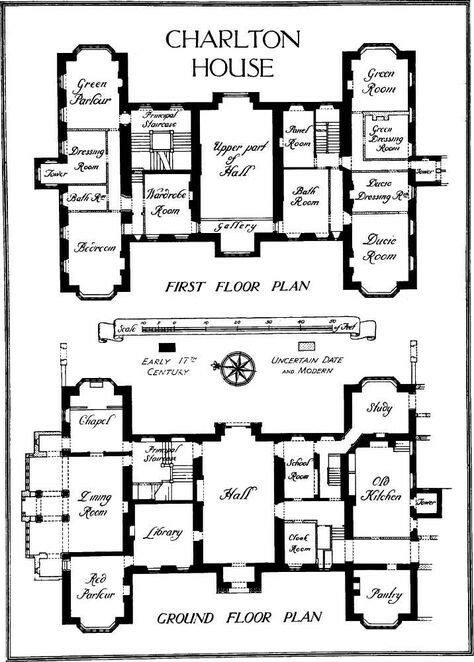 The tour started with an inspection of the south wing, which was designed by Norman Shaw in 1877 for Sir John Maryon-Wilson, and which has a rather pared down neo-Jacobean interior, complete with wood panelling and strapwork. The group then went on to explore the mansion’s main reception rooms, including the Gallery (partially rebuilt in the 1950s after a bomb fell near the house in the Second World War), the Saloon, with its impressive Jacobean plaster ceiling and the White Drawing Room. 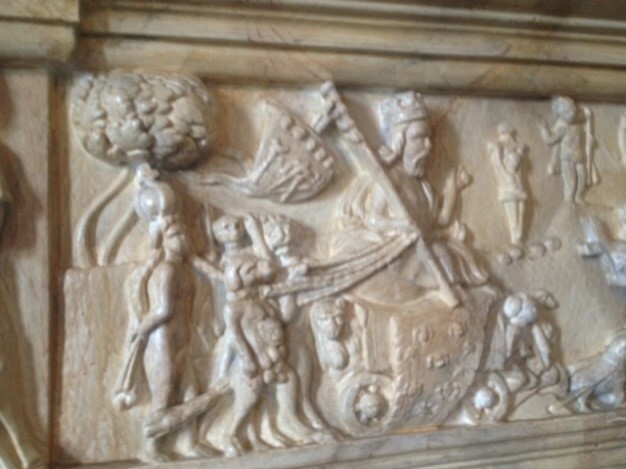 The visit raised some interesting questions: for instance, should the delicate but quaintly anachronistic 1835 plasterwork on the walls and ceiling of the Jacobean staircase be removed, and should the modern paint be removed from the carved fireplace in the White Drawing Room? Huge thanks go to our Assistant Secretary, Rebecca Whewell, whose excellent organisational skills have helped ensure the smooth running of the visits.